While India qualified directly for the quarter-finals by being the toppers, Belgium and Canada will play in the cross-overs for a place in the last-eight round. It turned out to be a tall task for World No India to get past Japan against whom they had registered a convincing 9-0 win in the league stages. Chinglensana Singh has been named Manpreet's deputy. Alongside experienced goalkeeper in Sreejesh, the team also features young goalkeeper Krishan Bahadur Pathak, while the defensive unit will see seasoned defender Kothajit Singh Khadangbam make a comeback. The huge gulf between the two sides was evident as India bettered their 86-year-old record when they defeated the USA with a 24-1 margin in the Olympics. 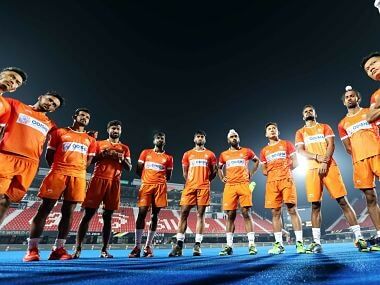 If India men's hockey team can clinch the gold medal at the upcoming Commonwealth Games in Gold Coast, it will be a big statement from the side considering this is a World Cup year. Sardar's exclusion was on expected lines as he performed below-par at this year's Azlan Shah tournament. 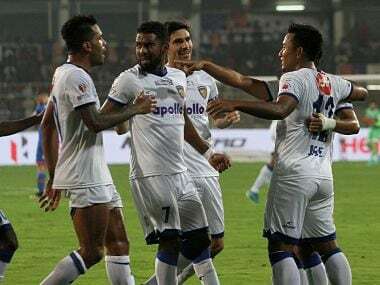 Chennaiyin thus put themselves in a strong position for a place in the play-off after grabbing the third place with 27 points from 15 matches. India will compete with Belgium, Japan and hosts New Zealand at Tauranga and Hamilton in the tournament, beginning 17 January.